The weather is warming up. It's time to get outdoors and start camping! Need to clean your RV before you hit the road? We show you some eco-friendly ways to do it. We always need to stay in touch with family and friends. So we've got some tips on how to get WiFi when on the road. Most people go on a road trip with a smartphone or tablet. We've picked the essential apps for a camping road trip. Looking for fun outdoor activities? We've found the best summer camping music festivals and some camping games for kids. So what are you waiting for? Get outdoors and enjoy all that mother nature has to offer! Mr. Botnick, with his wife Ann, bought and managed a campground and RV service center in North Carolina for years. While managing their campground the couple attended local RV rallies and realized there was a pressing need for mobile RV mechanics. When the recession hit Ann and Phil made what may have been the biggest decision of their life - they sold their campground and took to the road - full time. If you're tired of having to eat pre-packaged, instant meals on every camping or RVing trip, you should consider getting a Dutch oven. With a Dutch oven, you can enjoy the goodness of a slow-cooked, home-style meal even in the outdoors. Its cast iron material, with the help of hot coals and a camp fire, allows for even cooking so you get well-cooked meats, veggies, and even baked items. Here are some easy recipes to entice you to do some Dutch oven cooking on your next outdoor trip. At one point or other, all pet owners contribute to their pet's carbon footprint. Simple things such as disposing of your cat's kitty litter and the carnivorous diet we feed our pets negatively impact the environment. Luckily, there are some ways to reduce the environmental impact of our pets. WiFi has become a fixture in our daily lives; whether at Starbucks, work, or home, we are almost always connected to a WiFi network. However, having a solid WiFi connection on the road can prove quite challenging. Below are some tips to help you set up a WiFi connection so that you can enjoy the Internet on the road. Your RV is a home away from home, and just like any house it needs cleaning on a regular basis to keep it spick and span. When it comes to RV cleaning products, supermarket and camping store shelves are full of solutions that contain ingredients that a spelling bee champ would have trouble pronouncing! Harsh chemical based cleaners can leave irritants and pungent smells that get amplified in a small space, like your RV. Looking for a safer, non-toxic, natural alternative to use in your RV? We show you some eco-friendly ways to clean your RV. A family camp-out can be a great experience of bonding and fun. While adults tend to enjoy the serene nature and the joys of being together, children need entertainment. Luckily, camping provides many unique opportunities for exploration, games, and fun activities to keep everyone happy. If you're looking to escape the house for a few days, take in beautiful scenery, catch unobstructed views of the stars and enjoy the sounds of sweet live music, a multiple-day music festival might be right up your alley. Here are some of the top summer camping music festivals. We love apps here at CampingRoadTrip.com, you may have also noticed we are completely gaga over camping, RVing and road tripping. 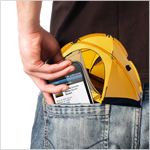 Two passions unite to bring you the top 10 indispensible apps for your next camping road trip. We have picked apps that are essential to trip planning, will keep you entertained, and help you stay in touch with loved ones. Spend more time enjoying the outdoors and less time fretting over things with these great apps.